With our Quintet Ear Candy Gemstone Collection there’s no need to choose your favorite gemstone. You can treat her to a delectable array of sparkling, genuine gemstones priced to be guilt-free. 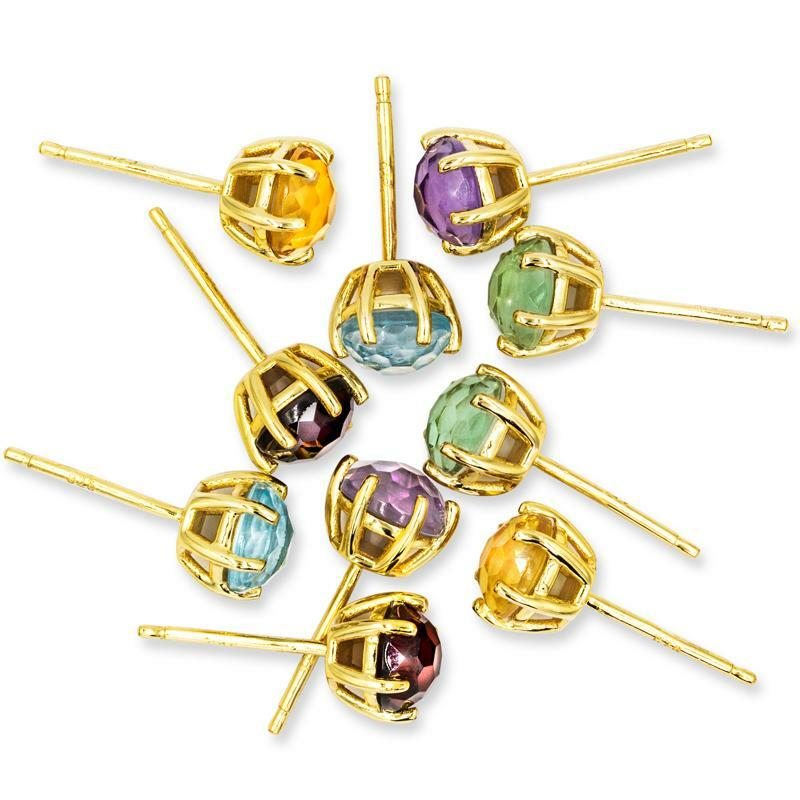 Here’s your sweet deal: a quintet of genuine gemstone studs featuring decadent grape amethyst, refreshing prasiolite , also known as green amethyst, zesty orange citrine, luscious berry garnet, and icy blue topaz. Each tantalizing faceted gemstone is round cut and set into 14K gold-finished .925 sterling silver.